This charming Hotel Su Lithu is located in a vast Mediterranean nature, located on the upper part of the mountain village Bitti on around 560 m attitude. The distances from Olbia are around 50 min. drive, from San Teodoro around 40 min. and to Nuoro 20 min. The owner and host family do warmly welcome their guests and offer Sardinian tradition as homelike atmosphere. Surrounded by gigantic nature and good hospitality this location invites to pure relaxation. From the pool terrace and rooms you can enjoy the fantastic panoramic view on the mountain Albo. In addition the Hotel Su Lithu offers a bar with sometimes during the evenings music entertainment, play ground for children, an internet-desk and a top restaurant with delicious cuisine – the biggest passion of the owner. The Hotel Su Lithu has in total 16 standard rooms and 2 superior rooms; all are furnished comfortably in Sardinian style with antique pieces and the bed linen are Sardinian hand worked. All standard are spacious and have a bathroom with bathtub or shower, hairdryer, TV, Frigo bar, safe and air condition. The superior have additionally a Jacuzzi bathtub, bathrobe, slippers, DVD, HI-FI. Balcony with sun chairs. Dario Giovanetti and his wife Susana are personally in charged of the exquisite plates and offer besides traditional Sardinian plates and Italian Pizzas, self created remarkable dishes as for example – sas casattinas – a sort of small sour-crème-cheesecake with parsley „au gratin“ – or su pistizzone chin anzone – a pot of cooked lamb meat with local spices also named the mountain couscous – and to enrich the dinner a good local wine does not have to be missed! On request the Hotel Su Lithu organises excursion and hikes in the mountains or to archaeological sites. Moreover to see in Bitti is interesting museum of pastoral culture and further in the surrounding are several rural nice churches that can be visited and finally the yearly traditionally feats and ceremonies attracts many visitors. Comfortable and cosy double room characterized by a well-made mix of cultural heritage of the region and modern objects. 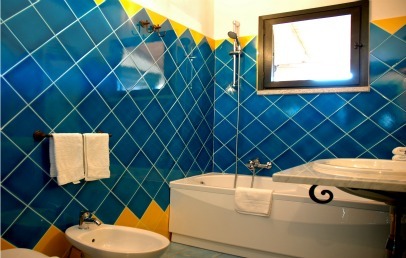 It is furnished with ancient bed and curtains, linen and carpets with Sardinian decorations. The bathroom has shower or bathtub, hairdryer, towel warmer and complimentary toiletries. The Standard rooms offer a relaxing garden view. Comfortable and cosy double room characterized by a well-made mix of cultural heritage of the region and modern objects. 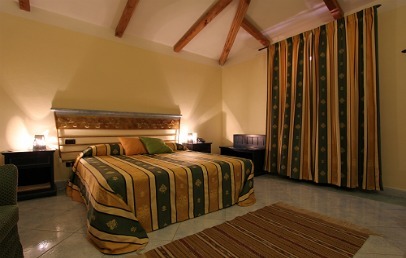 It is furnished with ancient bed and curtains, linen and carpets with Sardinian decorations. The bathroom has a Jacuzzi bathtub, hairdryer, towel warmer, bathrobes, slippers and complimentary toiletries. 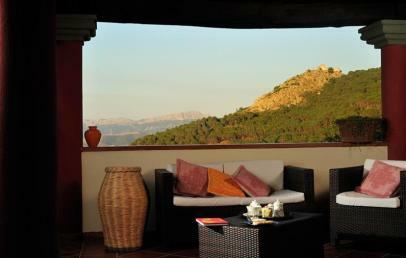 The Superior rooms face a terrace with sub beds and a panoramic view of the Albo Mountain and of the village. Comfortable and cosy double room characterized by a well-made mix of cultural heritage of the region and modern objects. 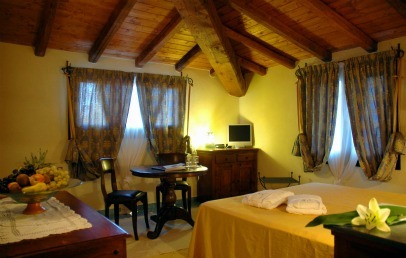 It is furnished with ancient bed and curtains, linen and carpets with Sardinian decorations. The bathroom has shower or bathtub, hairdryer, towel warmer and complimentary toiletries. 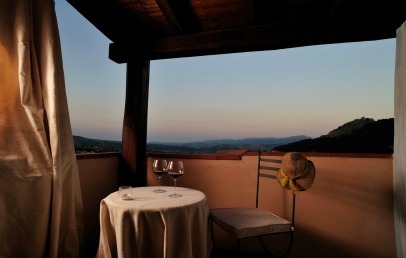 The Standard rooms offer a panoramic view of the Albo Mountain and of the village.